For once, don’t go halves on a 6-pack of socks with your sister because you couldn’t find anything better. Dads are usually the most neglected when it comes to gift-giving. They’re strong supporters of “not needing anything,” which explains why they usually end up with the most snooze-worthy presents. Since we know you’re searching for inspiration this Father’s Day, check out our selection of gift ideas aimed to please a range of interests. There is no way your dad won’t love something on this list. 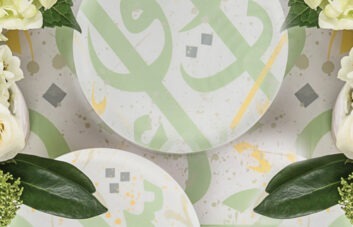 Give your dad something to show off about with the Ghida Decorative Dish. 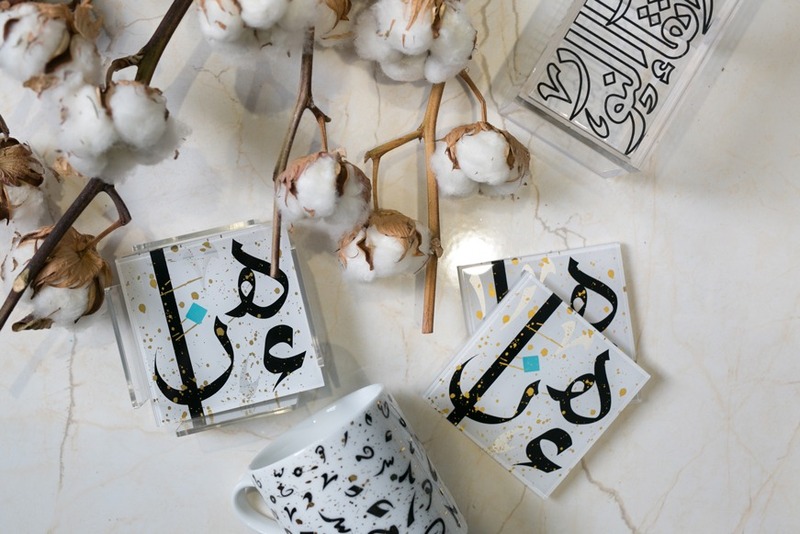 This modern acrylic piece is decorated with black Thuluth calligraphy, and will add a touch of class to any desk – whether at work or home. No desk would be complete without a Ghida Cigar Holder. 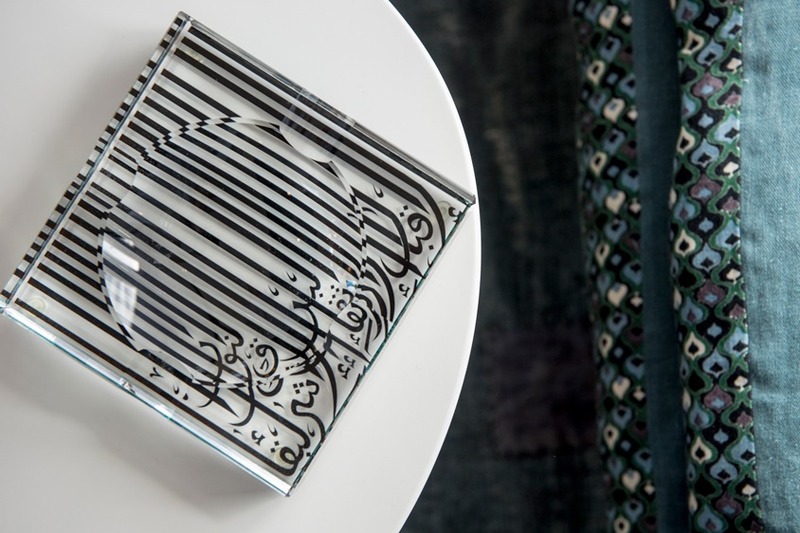 Adorned with bold black Thuluth calligraphy, this cigar holder makes a perfect desk piece, whether your father appreciates a fine Cuban cigar or not. 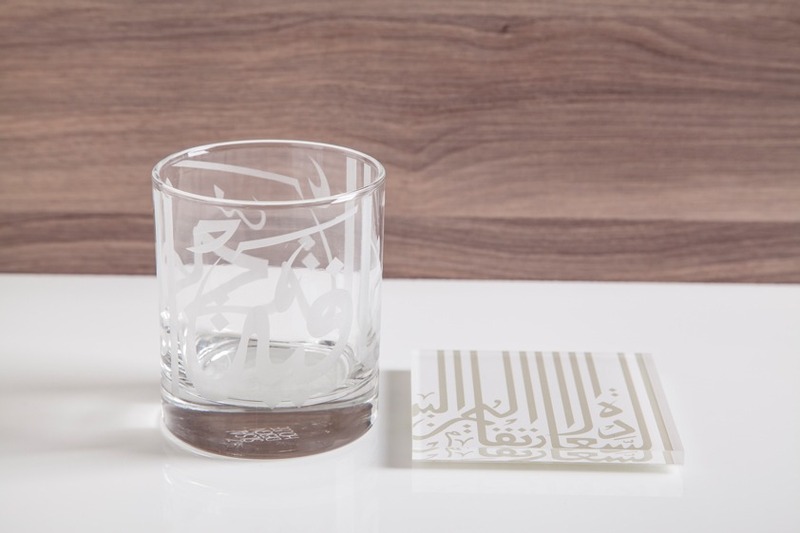 If your dad loves hosting sophisticated soirees, he’ll treasure the Ghida Tumblers. 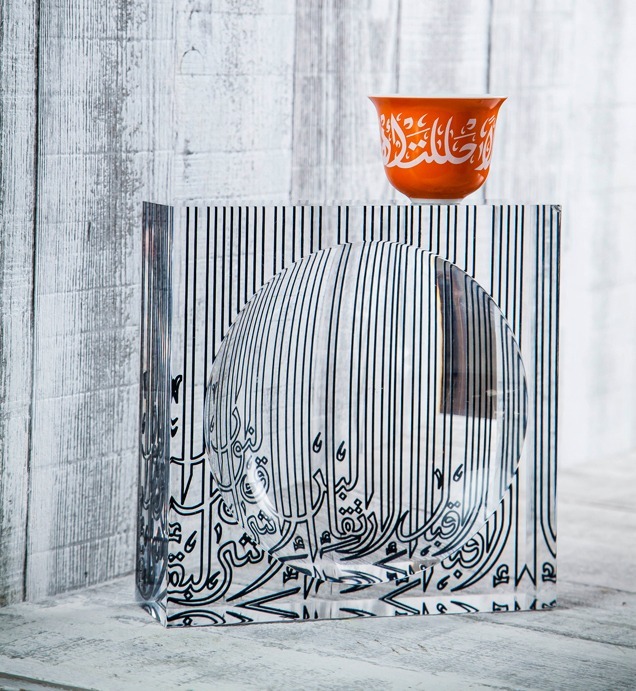 This sleek glass features modern angular calligraphy, wishing “Al-Siha, Al-A’fia”, or “Health and Wellness”. Nothing will complete your dad’s relaxation space like Ghida’s Tripod in white oak. 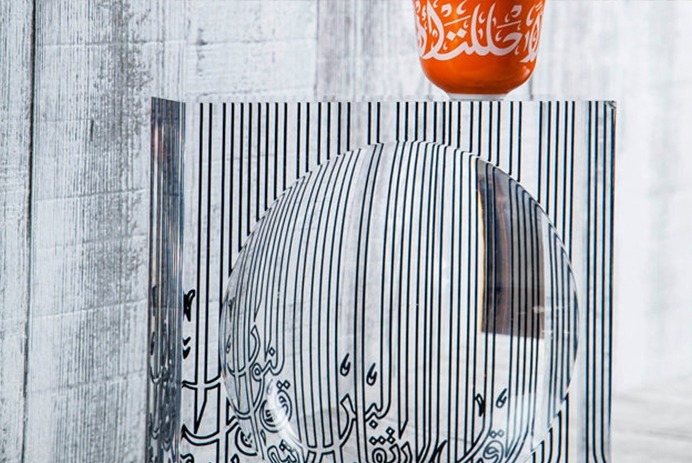 The minimalist wooden table-top is emboldened with intricate Arabic calligraphy, and stands on striking cast iron legs. 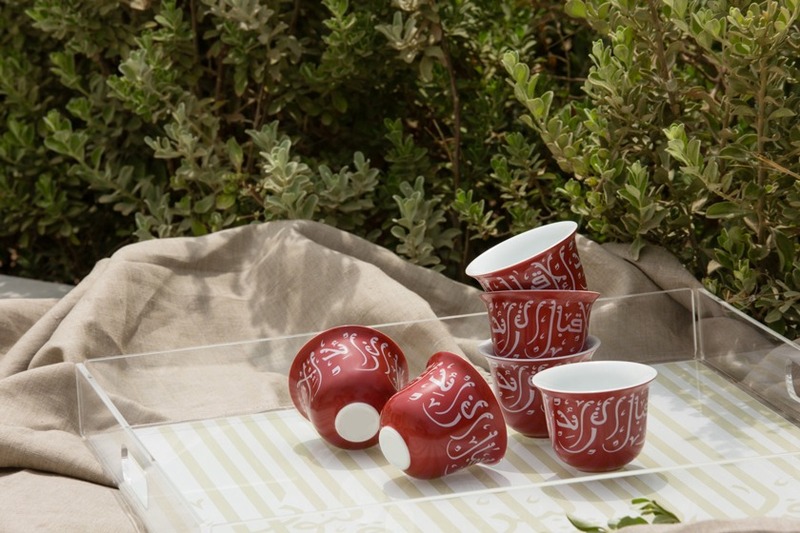 Give your dad the perfect start to his day with our Maroon Arabic Coffee Cup. 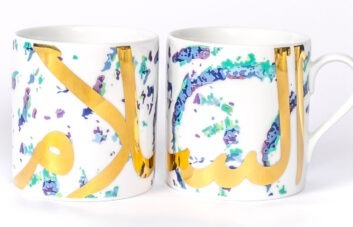 Smooth, white calligraphy adorns the striking, porcelain cup, wishing its beholder “Al-Ikbal Al-Za’ed”, or “Everlasting Glory”. Whether your dad loves to read for fun, or has to for work, nothing will bring more joy to his library than our Knowledge Is Light Book Ends. 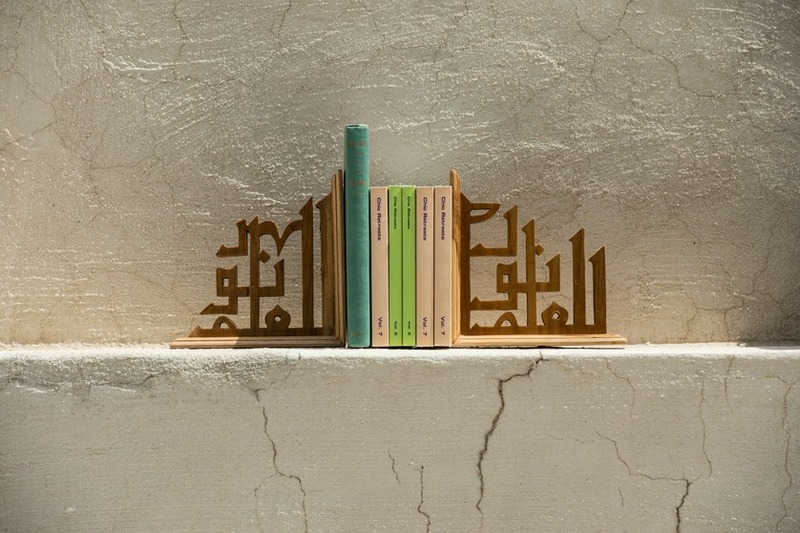 This wooden pair is adorned with Kufic calligraphy, reading “Al-Ilm Noor”, meaning “Knowledge Is Light”. The only thing better than a strong espresso in the morning is your very own espresso cup. The coffee lover dad is sure to appreciate our Ghida Espresso Cup in navy blue. 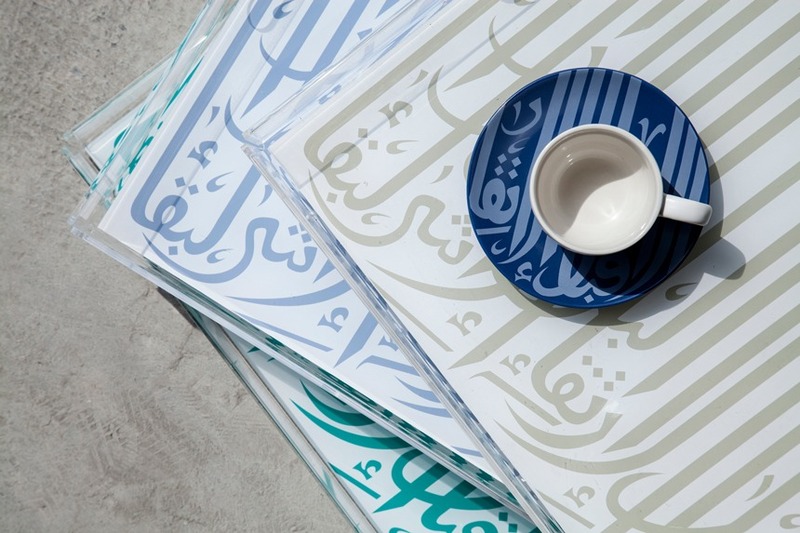 The pure white porcelain espresso cup comes with a navy saucer – complete with Thuluth calligraphy. 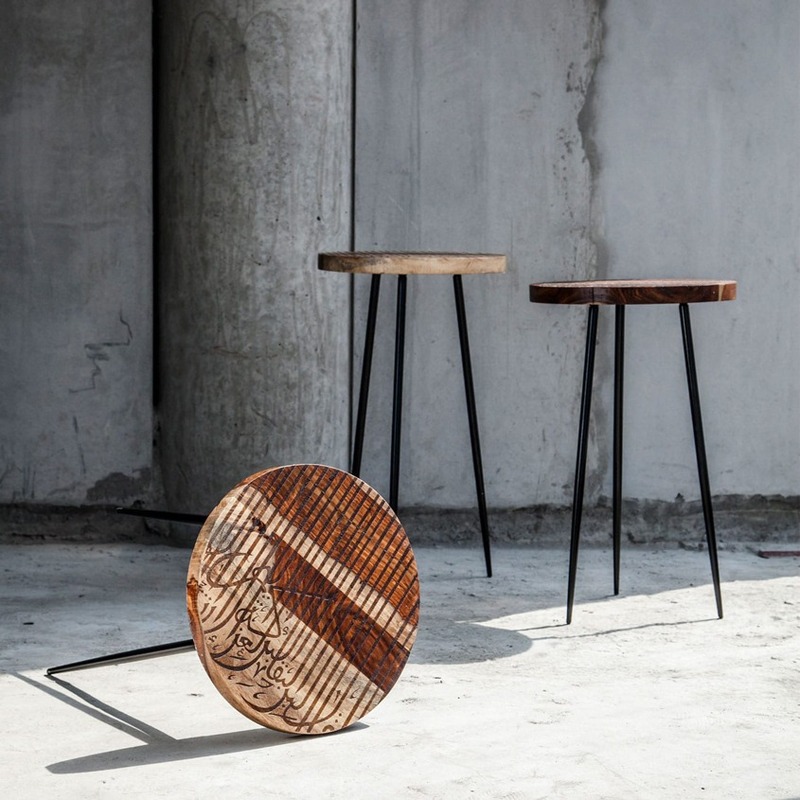 Make sure no one ever ruins your dad’s beautiful wooden furniture again, with a suave set of Tarateesh Black coasters. 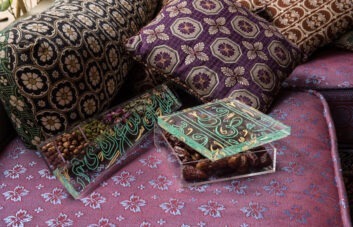 The pieces come in a set of 6 coasters in an acrylic stand, and are sure to leave a lasting impact on guests. 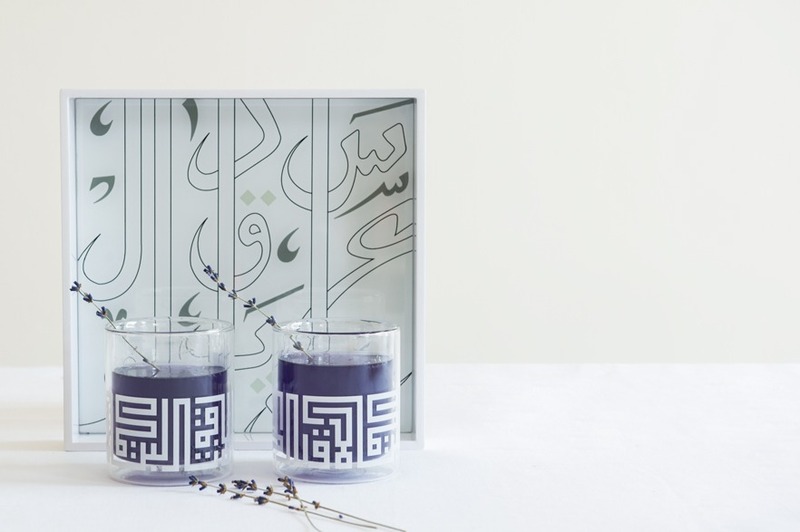 If your Pops is all about practicality, then he’ll love our Double-Walled Kufic Cup. Not only does it boast bold, angular, white calligraphy, but can be used for hot and cold drinks alike – something Papa is bound to appreciate. Not sure what your dad will love best? Give him the gift of choice and get him a Silsal Gift Card, so he can choose something that he’ll treasure (and use) for years to come!